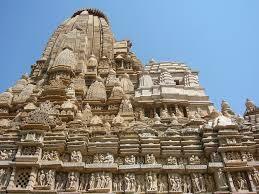 Here is Some Information about Shantinath Temple in Khajuraho Madhya Pradesh India. Shri Shikharji is the holiest of all Jain teerths.Shantinath Temple is a prominent structure in the Eastern Group of Khajuraho Temples. 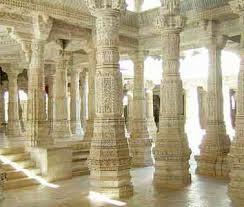 Shantinath Jain Temple is located at Khajuraho, Taluka Rajnagar, District Chatarpur Madhya Pradesh.The temple was built in 1536 AD ,and built by Jain Tirthkar shri Shantinath.The temple is dedicated to16th Jain Tirthkar shri Shantinath.The atmosphere here is quiet and calm with Jainism serenity. Inside the temple, there is a big Yard and parikrama path (verenda with number of Tirthankaras' idols. 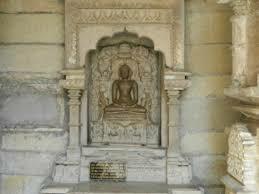 At the entrance, there is a gallary of photos related to Jain religion.This temple has a big statue of the lord. 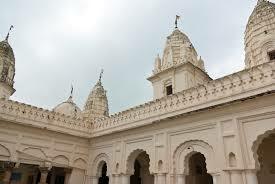 Surrounding this temples, there are several other temples in the campus. Many of the idols were damaged by the invaders, which were replaced by the new idols. This temple is basically a combination of several small sections and shrines. 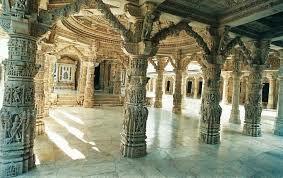 The Shantinath Jain ,Khajuaraho temple is known for its architecture and religious significance. This temple is basically a combination of several small sections and shrines. The main section features a 3.7 metres (12 feet) high statue of Lord Shantinath – the sixteenth Jain Tirthankara (Avasarpini). At the temple entrance, there is an interesting statue of Kshetrapala (deity of the farmland). Inside, there is an attractive sculpture of a Yaksha (caretaker of natural treasures). By Road : There are many public and private vehecals available to reach Shantinath Jain Temple in Khajuraho Madhya Pradesh,and many big cities and villages connected Khajuaraho. 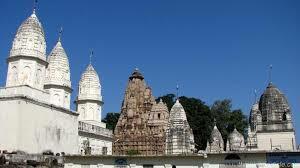 By Rail : Khajuraho has own railway station to near Shantinath Jain Temple. By Air : The Khajuraho has own Domestic airport and well connected Mumbai,Delhi,Kolkatta,Indore International Airport.